Let’s get down to the nitty gritty details. We have state-of-the-art systems installed to enhance the look and sound of your reception. Elevate your wedding with draping. 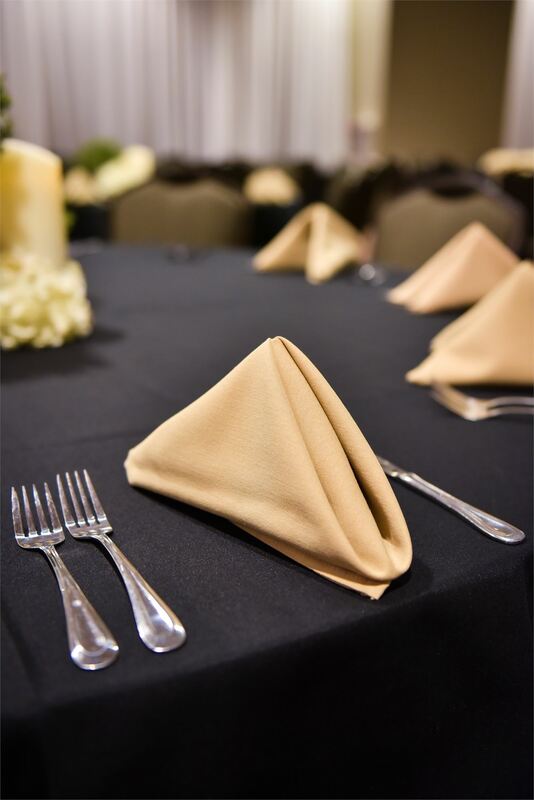 Our high-quality drapes create an elegant atmosphere that sets the mood. The drapes can also create a wonderful backdrop behind your head table. Brighten up your event with our lighting solutions. Our LED directional uplights can be programmed to you customized wedding colors. 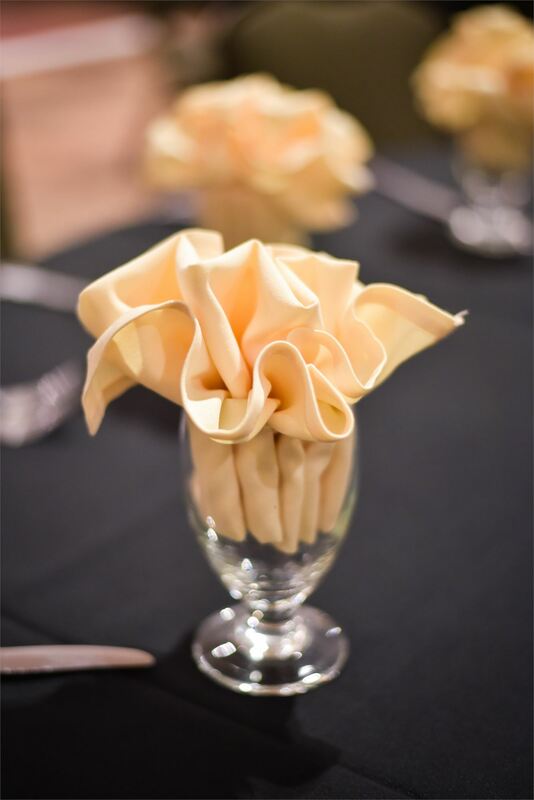 Table linens are included with your room rental. Select from our classic colors to create a polished atmosphere. 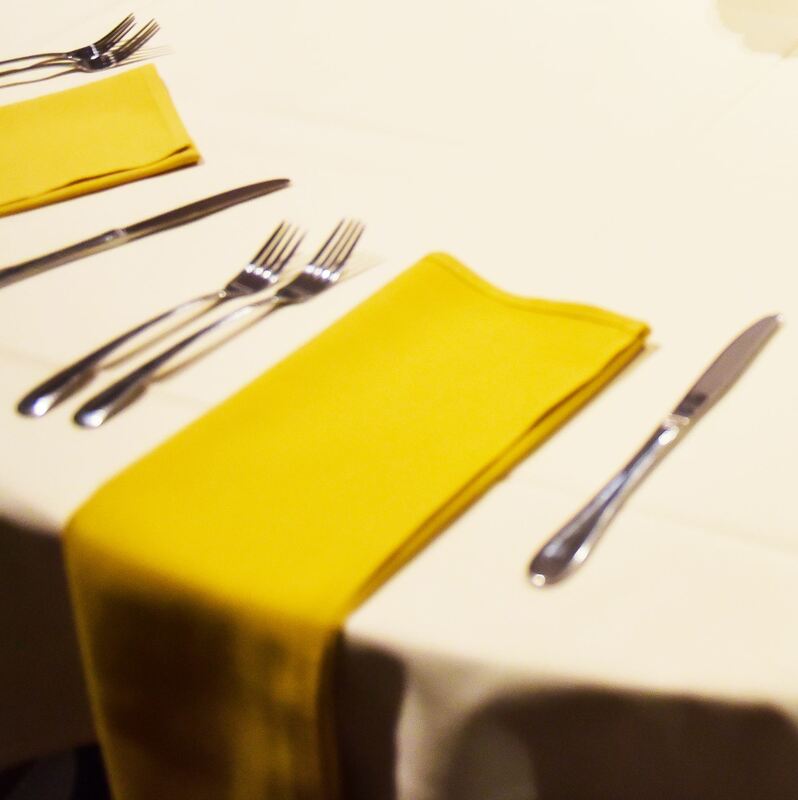 Table napkins are included with your room rental. Select from our variety of colors and fold options to create a custom look. Table skirting is included for your head table as well as gift, guest book, cake and punch tables. Need more? Let your Event Manager if you need additional skirted tables. Questions? We’ve got answers to your biggest BIG DAY questions.